Services on Shabbat morning, March 2, will be co-led by Reb Rachel and special guest Lori Shaller. Lori co-led davenen with Reb Rachel here last April, and also led davenen one Shabbat morning over the summer, as well. She’s looking forward to returning to CBI! Please join us in welcoming her back to western Mass. For more: How to Celebrate Purim in 5 Easy Steps. We’re diving deep this week into the description of the materials used to build the mishkan, the portable tabernacle the Israelites built in order to carry the tablets from Sinai with them in the wilderness. Some interpretations hold that the mishkan is built on a mystical blueprint which matches the blueprint of creation itself. Others see the mishkan as a temporary, portable “first draft” for the eventual Temple in Jerusalem. The mishkan is a big deal. We’ll spend weeks reading about its construction. But the Torah offers up what is arguably the most important detail at the very beginning of all of the descriptions: the reason why the Israelites are building this sanctuary in the first place. The word “mishkan” comes from the same root as the word Shekhinah, the divine Presence which dwells in creation. You might imagine, therefore, that God would dwell within the elaborate structures of gold and acacia wood, tanned skins, and woven tapestries of blue and crimson and purple which the Torah describes. Or that God would eventually dwell within the Temple, when we reach the point in our history when that structure is built, all shining white limestone atop one of Jerusalem’s hills. But God dwells everywhere. As our liturgy reminds us, מלוא כל הארץ כבודו / the whole earth is full of divine glory! The reason the Israelites built the mishkan was so that God would dwell within them. Like our ancestors, we too build religious structures in our lives. Some are literal, like this beautiful building of cement and copper and wood and glass. Some are metaphorical, the structures of practice and ritual and prayer. But the purpose of all of them is to invite God to dwell within us. You’ve heard me say something like this before, in introducing the ashrei. bodies. This body, this heart, is God’s house. When we create beautiful places with the intention of opening ourselves to holiness, God takes root in our hearts. When we engage in beautiful practices with the intention of opening ourselves to holiness, God enlivens us. We are the mishkan, the tabernacle, the temple, where we seek for God to dwell. Why do we need to build the structures — the buildings, the practices? Why can’t we just invite God in? Well, we can; but that doesn’t always work. Just saying, “hey, God, I want to open myself up to you” — what does that really do? For most of us, it isn’t enough. A better way to cultivate holiness in our lives is to enter into the practices, to take on the work, of building something together. We don’t have a mishkan to build anymore, but we can enter into the work of building our synagogue community. Show up to make a minyan; mix meatloaf for Take and Eat; plant a synagogue garden in the spring; join the Hesed committee and visit our members who are homebound or sick. We build our community in a million little ways, and when we do, we invite God to dwell within us. Chodesh tov — happy new month! 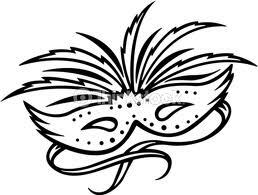 Adar is an especially joyous month on the Jewish calendar, because this month contains Purim. Our Song of the Month this Adar is the same song I chose for us last year during this month, so it may be familiar to some of y’all. It’s a musical setting of the last verse in the book of Exodus, which we’ll read in the Torah toward the end of this lunarm onth. The melody was written by my friend Daniel Kempin, an ALEPH cantorial student. It is simple and beautiful, a call-and-response which I’m hoping will be easy to follow. The words appear below. 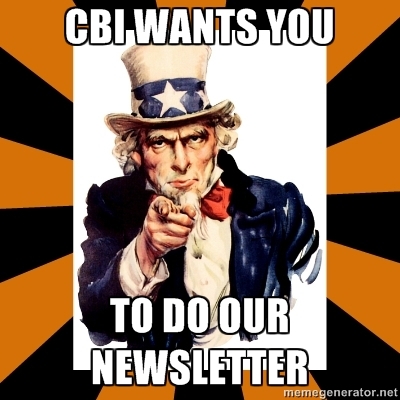 CBI Wants You…To Do Our Newsletter! Do you like writing and editing? Would you enjoy knowing what’s coming up at CBI? With great gratitude to Heather Levy for editing and designing our newsletter over the last several years, we are now seeking a new newsletter editor. Maybe that person is you! The CBI newsletter is meant to come out every two months. This role is not a very time-intensive one; all it requires is for you to announce yourself as the newsletter point person, keep track of newsletter-related emails when they come to you, and come in to the synagogue office once every two months to collect, edit, and lay out the newsletter content. Heather is happy to come in and show the new newsletter editor “the ropes.” All we need is a volunteer! If you’re interested, please contact Jack at the office. Thanks!